Banking has evolved with technology. The rise and adoption of Financial Technology (FinTech) in tandem with the boost in the subscription level of mobile phone users in the country has helped to redefine the banking ecosystem. LUCAS AJANAKU reports that this rapid development can bring the unbanked into the banking sector in line with the financial inclusion and cashless policy of the Central Bank of Nigeria (CBN). Mr Aderemi Esan is very excited about the development in banking in the country. According to him, he now pays virtually for everything on his mobile phone, a development that has taken him away from the long queues both at automated teller machine (ATM) points and the banking halls. “I pay for evrything, including my son’s school fees within the comfort of sitting room. I also transfer money to my aged parents tresslessly on my phone,” he said. Over the past four years or thereabout, there has been a dramatic change in the face of banking in the country. The lenders have continued to innovate with short codes to do almost everything on the go. Executive Director, Lagos Business Directorate, Wema Bank, Folake Sanu, captures this development during the unveiling of the lender’s ALAT Digital Bank in Lagos. She said: “With the shift to all things mobile, ALAT powered by Wema Bank, could not have come at a better time. Over the last decade, we have witnessed how technology has revolutionised the financial sector. Indeed, many products out there in the financial market claiming to redefine the customer’s banking experience are simply making things more cumbersome. “At present, there isn’t that product that really captures the need of the millennial – the digitally savvy generation (Generation Y as they are fondly called) that are becoming the fastest growing segment in the world and in effect impacting economies and industries across the globe. Founder, CWG Plc & Entrepreneur in Residence at CBS, New York, Austin Okere asked why after centuries of conservatism in receiving deposits and making loans, banks should change. He said there are two main issues stirring the yearning for change: The first being that it is a very difficult club to join, and hence the large population of unbanked adults. Secondly, even for the members of this elite club, the relationship is acutely skewed in favour of the banks; naturally so, as they have carried on as protected monopolies with no serious challenge or competition, resulting in no significant innovation over the decades. Centuries of relatively significant higher returns, even in the midst of economic downturns that adversely affect the real sectors has engendered an attitude of invincibility and pomposity, characterised by a loss of touch with their customers. Considered too big to fail, they take it for granted that they will be bailed out with taxpayers’ money in the event of any missteps – a perfect prey for disruption, he added. 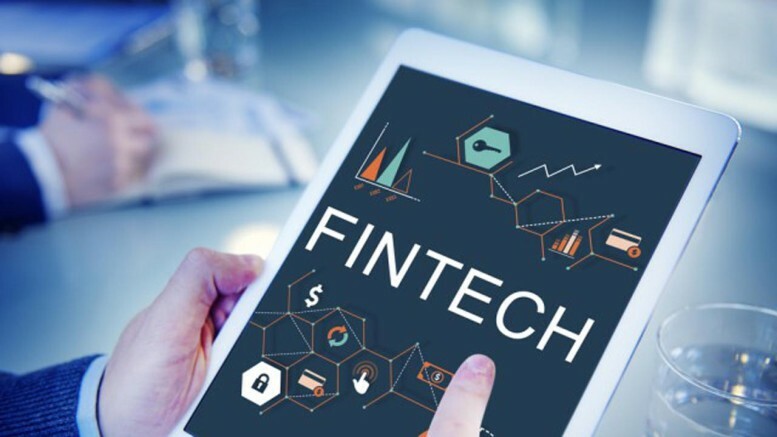 Today, there has emerged a powerful force of challenge from financial technology companies or FinTechs, as they are more popularly referred to. The promise of FinTech is great. It is shaking up a stodgy banking system and helping to build a more efficient one, especially for consumers and small businesses. Okere who also serves on the World Economic Forum Global Agenda Council on Innovation and Intrapreneurship, said for years, emerging economies have looked up to developed countries for ideas about how to manage their financial systems. When it comes to FinTech though, the rest of the world will be studying the experience of the emerging markets, embodied by the widely successful MPESA mobile money system, championed by Safaricom in Kenya. MPESA has made it possible for a large swathe of the population to gain financial inclusion by providing the opportunity to transact financial services vide the mobile phone, on a continent where typically 70 per cent of the population is unbanked. MPESA today has more than 60per cent of Kenya’s 33 million mobile users; not bad for a service which was only launched in 2007. Similar applications have metamorphosed across Africa. In Nigeria the Yello Mobile Account, jointly offered by ICT giant CWG Plc and GSM major MTN, added over 6million accounts to an early adopter, Diamond Bank, within the first year of launch. Mobile Money services are today generating 6.7 per cent of Africa’s gross domestic product (GDP). According to him, by just about any measure of size, China is the world’s leader in FinTech. It is by far the biggest market for digital payments, accounting for half of the global market, according to the Economist Magazine. A ranking of the world’s most innovative FinTech firms gave Chinese companies four of the five top slots in 2016. The largest Chinese FinTech company, Ant Financial, has been valued at about $60billion, on par with UBS which is Switzerland’s biggest bank. Today, digital payments account for nearly two-thirds of non-cash payments in China, far surpassing debit and credit cards. Peer-to-Peer (P2P) lenders in China grew from 214 to over 3,000 in 2015, and P2P loans increased 28 fold from 30billion yuan in 2014 to 850b yuan in 2016. Alibaba’s four year old Yu’e Bao fund with $165.6billion has emerged as the world’s largest, overtaking JPMorgan’s US government money market fund, which has $150billion. According to Austin, there are indeed five major forces at play in this space. They are the banks – traditional and established, best with cash and ancillary instruments; FinTechs – the new kid on the block, disrupter, mostly telecom roots, best with digital currencies and mobile services; regulators – central banks, regulating traditional banks; and communication commissions, responsible for telecoms regulation (and thus FinTechs); currencies – traditional, such as cash and cheques; or digital, such as bitcoin or other cryptocurrencies; and customers, and the weight of their new found voice. Typically, they clamour for whatever will give them convenience and lower costs. Customers are the most significant force, and represented by the outermost sector of the concentric circles, he said, adding that they tend more towards a preference for digital currencies, the FinTechs will tend to assume a more prominent role in the new face of banking, and the regulatory regime will inadvertently tend towards the communication commissions under whose purview the FinTechs fall. This will introduce a regulatory imbroglio, as future ‘huge banks’ may fall outside the regulatory ambit of central banks (as seems to be the case with the MPESA mobile money platform, through which Kenyans transacted $28billion in 2015, representing about 44 per cent of the country’s GDP. Safaricom, the telecoms promoter of MPESA ironically falls under the regulation of the Communications Authority of Kenya rather than the Kenyan Central Bank), Okere said. 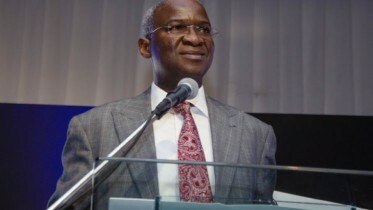 He said if the customers however, maintain a strong appetite for traditional instruments of financial transactions such as notes and coins, cheques and others, then the current status quo will remain. The face of banking will thus be more of the same, and the regulatory authority will continue to be central banks. Between these two positions may be many variants, depending on the appetite and preferences of customers, and the pace at which they are willing to embrace change. FinTechs are not the only ones challenging traditional banks for turf. Retailers are also jumping into the financial services fray. For instance Amazon has launched Amazon Cash, a way to shop its site without a bank card. The service allows consumers to add cash to their Amazon.com balance by showing a barcode at a participating retailer, then having the cash applied immediately to their online Amazon account. This product is meant to appeal to the those who get paid in cash, don’t have a bank account or debit card, and who don’t use credit cards. Google is also rolling out a new integration on mobile. Users of the Gmail app on Android will be able to send or request money with anyone, including those who don’t have a Gmail address, with just a tap. In most emerging markets and developing countries, the current formal financial system only reaches a minority of the working-age adult population. Smallholder farmers, self-employed households, and micro-entrepreneurs have to rely on the age-old informal financial mechanisms such as rotating savings clubs, moneylenders, and pawnbrokers. These mechanisms can be unreliable and very expensive. In Nigeria for instance 84.6million people, accounting for 47 per cent of the population are unbanked. In sharp contrast, mobile phone penetration is very high at 94.5 per cent; a perfect set-up for the FinTechs to exploit in their mobile dominated financial services offering. For policymakers from the global south, the digitalisation of retail payment systems and financial services has become an important economic development priority. It offers the prospect of reaching far more people at far lower costs with the broader range of financial services they need to build resilience and capture opportunities. The 2015 yearly gathering of some 300 central bankers and policymakers from 90 countries who have formed the Alliance for Financial Inclusion, dedicated the bulk of the agenda to explore such innovations, which could deepen formal financial inter-mediation of their economies. Imagine a world where all money is digital. Instead of carrying coins and notes in their purse, people would keep digital currency units in electronic wallets on phones, watches or other electronic devices. All of this could happen digitally the way cash is handed over today; in real time, irreversibly, with no additional fees. Be the first to comment on "FinTech and New Face of Banking"